Deciding on the best time of year to sell your apartment or house is not always simple. Sometimes it’s determined by outside factors, but sometimes you have a bit more flexibility. In order to make sure you get the most out of your sale, here are some tips for when to put your house on the market. 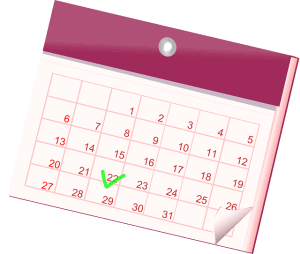 Many sources advocate that the best time of the year to sell your apartment or house is between March and June. May, however, is the ideal month to sell a house, primarily because people are receiving their tax returns from the IRS, so they are more inclined to make an investment than at other times of the year. For a list of ideal selling dates, check out this list from consumer advisor Clark Howard about the best time to sell a house in 25 major metropolitan areas. There is another benefit to selling your home during this period, as well. For families who are looking to relocate before the next school year begins in order to give their children time to adjust to the new location, this time is ideal for buying a new house. It allows for a period of adjustment, and plenty of time for everyone to get settled before the new school year begins. Another time to consider is the day you place your house on the market. People are more likely to want to look at houses on the market on the weekend rather than during the work week, regardless of the month. Therefore, houses that are listed on Thursday and Friday are more likely to get attention than those posted earlier in the week. While obviously people are always on the lookout for a good deal, there is no magic number for the ideal listing price of a house, nor is there one concrete way to know the value of your home. 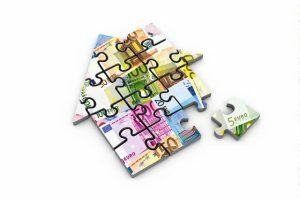 First and foremost, it depends on the market you live in, but it also depends on the state of the economy, the level of need of the buyer, and the nearby competition. It can be hard to predict on any given day how these factors will come together, and how they form the ideal selling price for your home. If you need to sell your apartment or house fast, an agent should know not only the best way to do that, but the best time to do that, as well. According to The Balance, most real estate agents should know the average time it takes to sell an apartment or house without having to think about it. This information is not the only a good sign of your choice of agent, but also gives you an expected timeline once your house is placed on the market. While this number can never be 100% accurate, having a narrow timeline is better than the vagueness of not knowing how long your house will sit on the market for. TIME Magazine also mentions looking at the digits when you price your houses. Numbers that end in one, or ever 2 zeroes, are less likely to sell than numbers with other digits. For example, a house priced at $408,712 is more likely to sell than a home priced at $400,000, even though the second number is less than the first. In this regard, the pricing market turns into a numbers game more than a financial strategy. Buying climate is not a reference to the likelihood of people to buy at a certain time, but in this case, literally the climate itself. The months of March-June are good times to sell house because they usually produce temperate weather across the United States, but some regions are prone to more bad weather than others, or quicker seasonal changes, all of which months are better for selling your house. For example, it might not be a good idea for a house in the Northeast to be listed in February, when the potential for snow is highly likely, or for homes in the Midwest to be listed during tornado season. Therefore, listing your home involves not just paying attention to your needs, but what the buyer will be looking for. The potential buyer won’t want to climb over three feet of snow to get to your front door, or get to know you too well as you take cover in your tornado shelter. Some markets have wider climate berths than others, but it’s an important factor to consider when getting ready to sell your house. In addition, spring may seem like the ideal time to sell your home, but, as Realtor.com points out, but it’s not without its downsides, either: buyers can be pickier and bidding wars may ensue. There can also be negative repercussions if you try to sell during the off-season, like the fall and winter, because there is less curb appeal, houses will sell for lower prices, and the buyers are looking for bargains rather than their dream homes. Sometimes you can’t avoid listing your house in the off-season, but if you can wait until the peak season, there may be a better payoff for you in the long run. And if you do have to sell your house in the off-season, it might be worth trying to sell your house as is, in order to make the transition quicker. There is one element to this puzzle that’s missing, and that’s how to get people to come to your home, no matter how ideal your listing may be. SetSchedule’s agents can help with that. We set up verified appointments with interested potential buyers. Through our innovative technological platforms, our agents work with you every step of the way to make sure that your house gets listed and sold quickly and efficiently. Thanks for this. I didn’t know that there’s the best time to buy and sell a house. My parents want to buy a house. They are now looking up some agents to assist them. Thanks for letting me know that Condition, location, and price are the main factors that affect your home while selling a house. Personally, I would want the lawn of my garden to look nice. Thanks for sharing..!! I didn’t know that deciding on the best time of year to sell your house is not always simple. My dad wants to move into a smaller home because it’s difficult to maintain it. My aunt suggested selling the house and shared this article with him. It says that people are more likely to want to look at houses on the market on the weekend rather than during the work week, regardless of the month. This information is very useful , i really enjoy to read this information. Usually August and December are the worst times to put a home on the market. If someone is looking for a home and hasn’t found it by late July, they go on vacation and resume looking in the fall. With all the holidays around December it’s not a good time to start selling your home. I’m going to be getting my house sold, but I don’t know when to sell it. It makes sense that the season would be important! I’ll be sure to sell from March to June, since that’s when weather is nice. What most people don’t realize is that timing is totally legitimate when it comes to listing a home at the right time of the year. If they aren’t paying attention, they’d never know. But being in the real estate market (https://sellmyhousefasthouston.joomla.com), we have also seen how different months definitely affect when is the best time to list a property vs putting one up only to discourage the seller that we’re representing. The selling of a home is a very stressful procedure and a lot of factors affects the selling of a home including the time of the year. So, one should choose a suitable time to sell the home to make better profit. Apart from this, one should hire a real estate professional. Such professionals have an adequate amount of knowledge regarding the real estate business and their assistance could be very helpful to reduce the stress associated with the selling procedure. I like what you said about how there’s no magic number for the ideal listing price of a house but you can find learn the value of your home. My husband and I need to move for his work and sell our current house. Thank you for the information about how the price would depend on the market you live in, the state of the economy, and the nearby competition. It sure is interesting to know that May is the ideal month to sell a house because people are receiving their tax returns from the IRS. My children have all moved out and are starting to build their very own empires. Selling our old house to fund a nicer one is really something me and my wife should start considering. These tips for selling your property can really help us out should we decide to push through with the sale. I have found nice conversation here. Good Luck all. Thanks for explaining when it could be good to sell a house. I didn’t know that it could be good to post the listing on the weekend because it’s likely to get more attention. It sounds like it could be a chance to fine tune extra details as well during the week if you wait a bit longer. Thank you for pointing out that your agent should know about how long on average it will take to sell your home. My husband and I are wanting to sell our first home and need to find the right agent to help us with this. I’ll have to do some research and find the best agent in my area. Great thoughts you have shared. Most of the people are waiting for the best time or best month to sell their house at very good price. These all suggestions will definitely help them. I agree it is important to know when to sell your house and determine the current market in your location. Awesome blog by the way! Good post, its great to see these kinds of post every once in a while, just roaming the internet for real estate blogs then i came across this. if you need to sell your house you can always goto home buying sites. Hi, I read the full blog that you mentioned above.It is a great article that i need this type of information.It will be very useful information for me.Thanks for sharing this information. Thanks for helping me understand that the price for the house might go low when you sell it during the fall or winter. As you mentioned, it is because there will be lesser curb appeal. I guess I will have to wait until spring to sell our house. We plan to do so because we wanted to downsize since our children already have families of their own that makes our house to big for the two of us. It is a very useful article, explaining the importance tips of buying and selling the house. I thought it was interesting that you mentioned the pros and cons to selling your house during the different seasons. I never would have considered when the best time of year is for curb appeal or price. This has definitely given me some ideas for when would be the best time to sell our house. Thanks for pointing out how March and June will be the best time to sell your home because a lot of people are receiving their tax returns. My dad is looking to sell his home next year so that he can fund his restaurant business. I will be sure to advise him to consider selling it between these months so that he can be sure to get a buyer for it quicker. 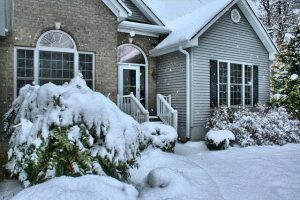 thank you for mention the pros and cons of selling a house in different seasons. this will helpful for selling a house at right price. also the month of selling a house necessary factor. i will share this information with others. I like what you said about selling your home during the peak real estate season, from March to June. Selling a home should be done with the expert advice of a trained real estate agent. My wife and I are looking to sell our home, so we’ll make sure to work with a real estate company in order to score the best deal possible. Wow, it’s interesting to know that May is somehow the best month to sell your house because people usually make an investment after receiving their tax returns. My mom is planning to sell our old house but she is also confused as to what is the best month should she do it. I’ll advise her to do it either in March, June, or May. Knowing when the best time to sell a house usually falls on the weather conditions since there are certain months of the year where it’s best to sell–since the weather can be really unpredictable, it’s always best to gun for an early spring sell date. Of course, this is going to vary depending on which state you live in since the weather can wildly differ from New York as compared to, like, California for example. While I haven’t any experience with selling a house yet, at least I can tell my sister about this ‘window of opportunity’ since she’s been looking for a house to buy but can’t find time to properly go to an open house viewing due to the weather crapping out on her when she does go. I like that you suggest moving during this period so you can get to your new home before the school year begins. We are moving to a new area, and we want some time to integrate our kids into the neighborhood in time for school. We want to sell our home as fast as possible, so we can get to the new one in time.